Edited by Hans-Heinrich Kriegel & Brian Clark. 20pp. 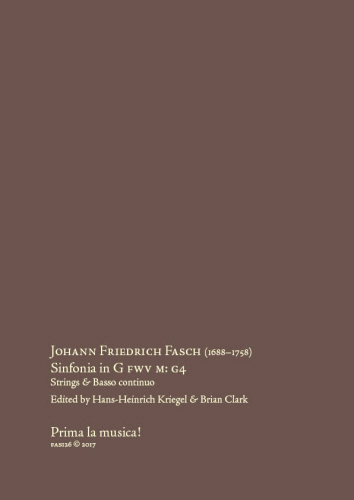 Score printed in Germany by Frick-Digital. Parts printed by Prima la musica!